Watching the film's opening credits, it is possible to detect a street sign. 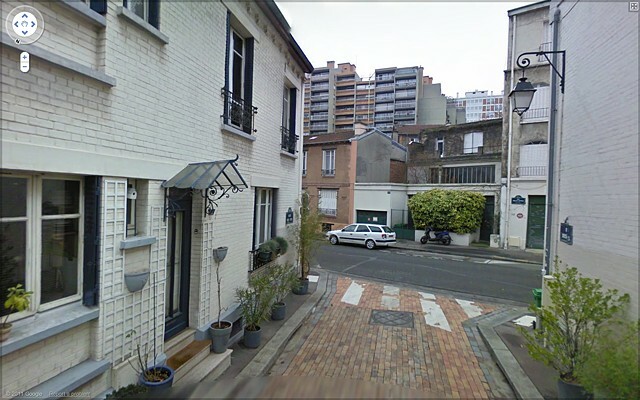 Using Google streetview, I then located the exact home that was the focus of the unknown watcher's video footage. I recognized a symmetry between the invasive role of an obsessive spectator that I had performed inside the gallery of Nul si Découvert, and the undisclosed watcher in Caché.